sailboat. 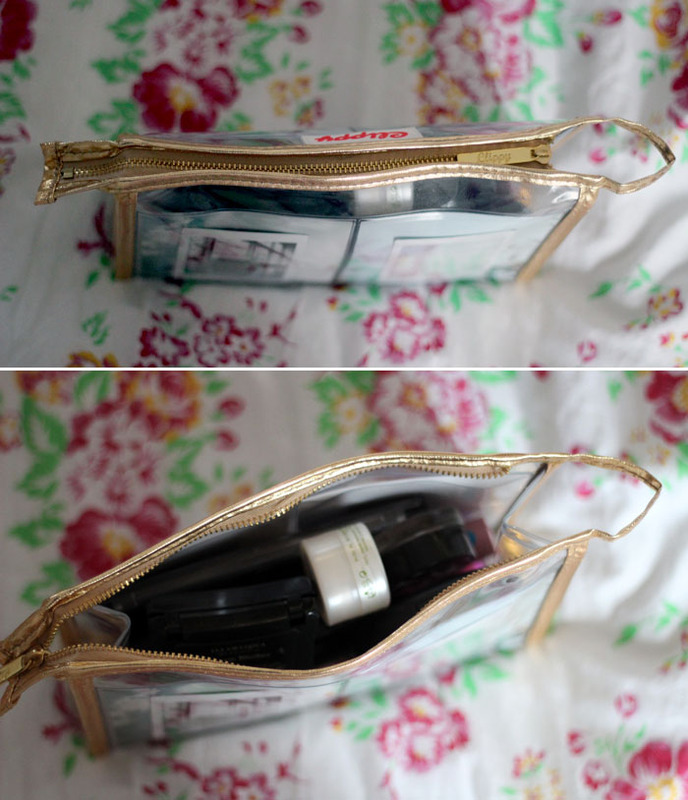 : What's in my Make Up Bag featuring Clippy London. This post is lovely!! I really love the way you have customised your bag. Lovely choice of products by the way. I can always trust your opinion! That clippy make-up bag is so cute! I've heard of clippy bags but didn't realise they did smaller things like make-up bags, which I would prefer to a handbag. I'm currently using the Peepshow mascara too, I'm really impressed with it for how little it cost! i'm so impressed with your posts too! How can you fit all that in so effortlessly?! I think it's a cute idea being able to put whatever you like as a picture, but if it costs too much, I'd rather not be bothered. I'd really like Illamasqua blush. And the creme cup lipstick.. And the mineralize skinfinish in redhead.. And the Peep Show mascara.. They don't cost a lot? The make up bags are £10 and you can get photo prints done for as little as a few pence each! wow your makeup bag is so diddy! i have a stupid giant loose setting powder by chanel that would literally take up the whole of that clippy which makes small makeup bags really impractical. Either that or I should get a new setting powder. Aww I love that make up bag so much, gotta love kissing bunnies! I never seem to buy things with bulky packaging, it always ends up getting on my nevers when it won't fit into my storage! I hope we both figure out the bobbi brown liner thing, I think it is one of the best out there, I just can't get it to work for me for some reason! Love those make up bags, might finally invest in one so may have to use your code! Lovely post! I have to admit I love being nosey & seeing what products other girls carry in their makeup bags :) I too have eye bright & erase paste in my bag! I swear by Bobbi Brown gel eyeliner, but can't get on with the Peep Show mascara :( I think maybe I got a dud one because it's so dry and barely any product comes off it. I'll add a little water and give it another shot.